Riina Tomberg and Nancy Bush collaborated on this glorious pattern, which was inspired by examples of mitts from the 19th and 20th centuries that were knitted on Estonia’s island of Ruhnu and are now in several museum collections. Photo by George Boe. 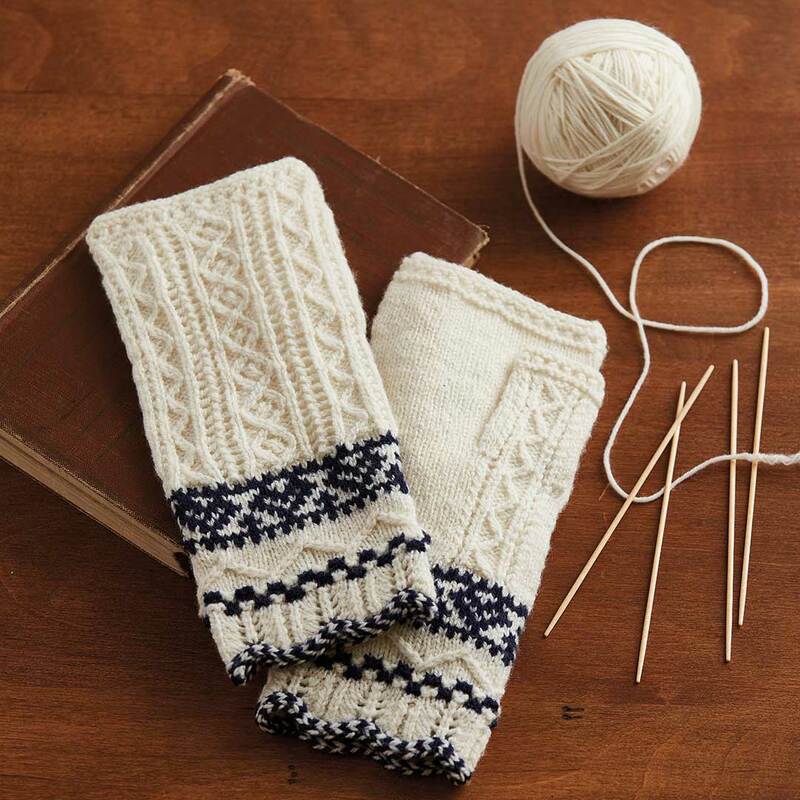 The richly textured Ruhnu Mitts to Knit by Riina Tomberg and Nancy Bush, included in the Spring 2019 issue, showcase traveling stitches, openwork ladders, and two-color braids and capture the knitting traditions of the Estonian island of Ruhnu. 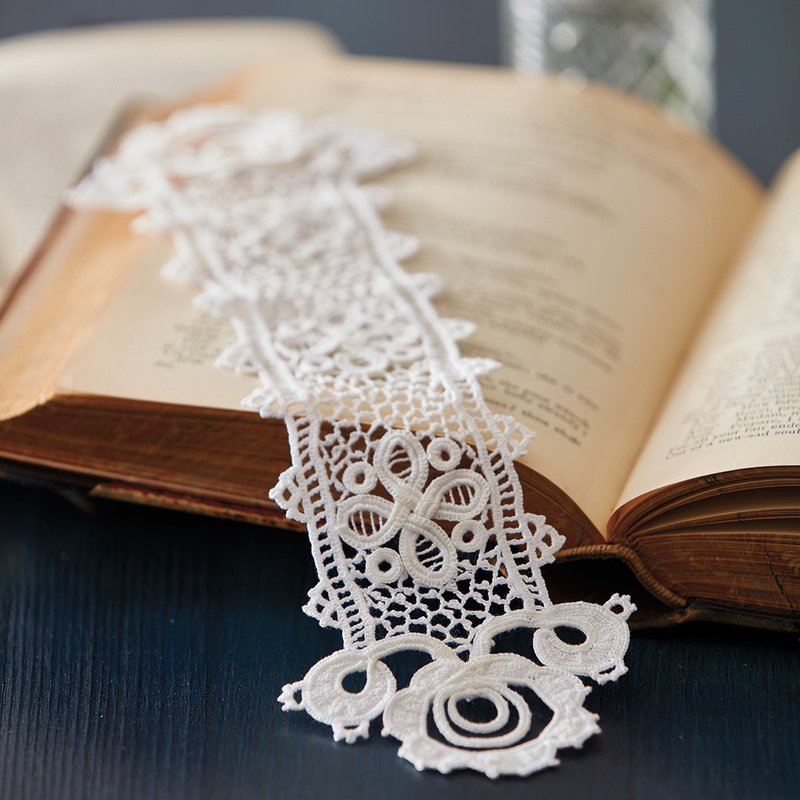 Crochet Julianna Máté’s exquisite bookmark for yourself or for a special friend. Photo by George Boe. Julianna Máté’s elegant bookmark was featured in the Fall 2018 issue. It draws its inspiration from traditional Hungarian Cstnek lace, which was adapted from Irish crochet. Elisabeth Jenkins Baty’s extraordinary pockets and mitts will thrill any doll aficionado. 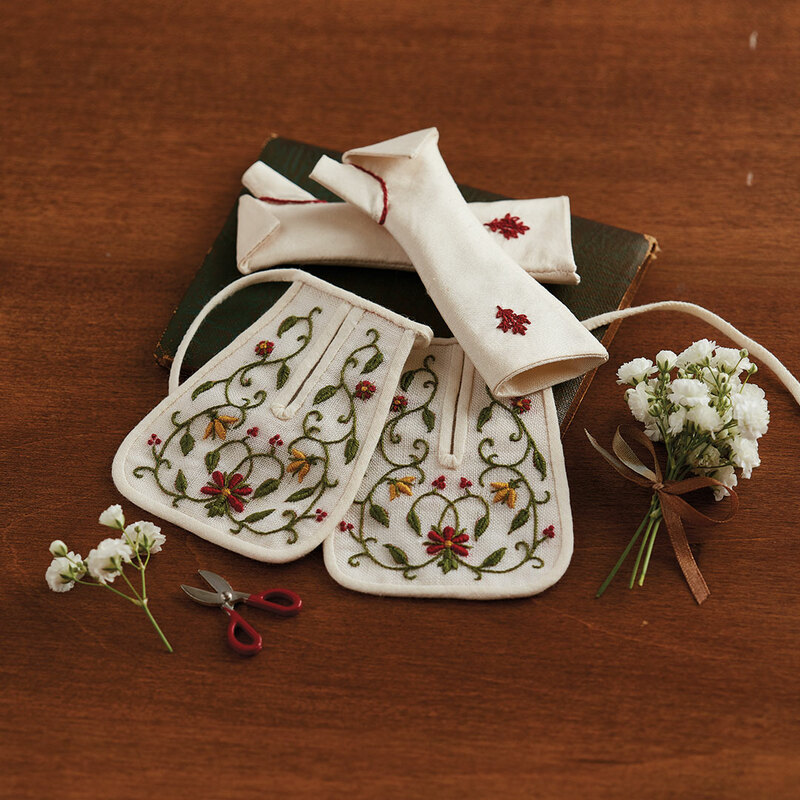 Exquisitely sewn and embroidered, the accessories are miniature perfection. Photo by George Boe. 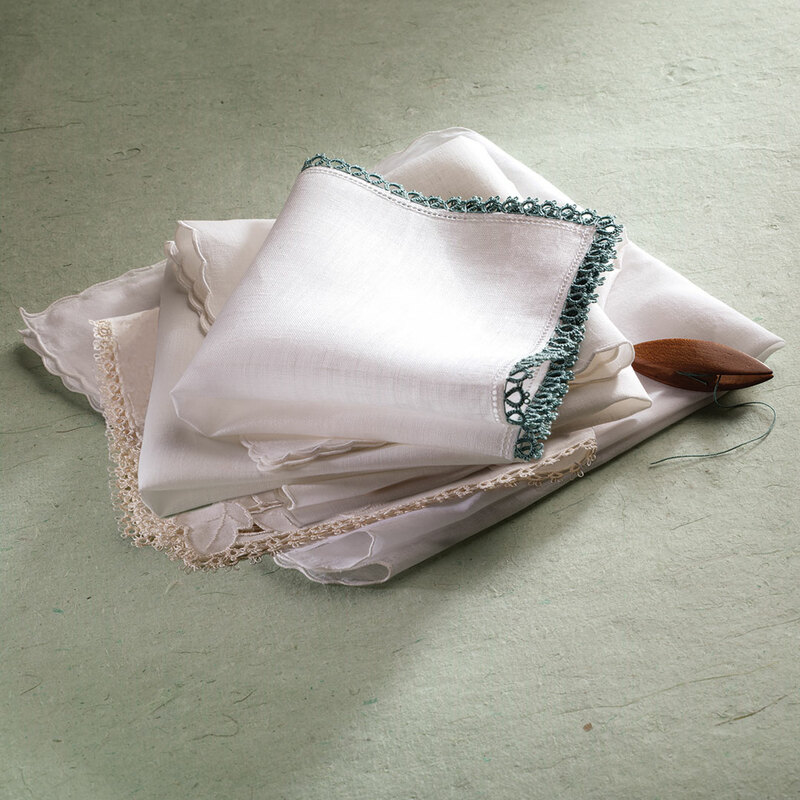 The Spring 2019 issue included Elisabeth Jenkins Baty’s stunning Pockets and Mitts to Sew and Embroider for an Eighteenth Century Fashion Doll. Designed to fit a 16½-inch (41.9-cm) fashion doll, these accessories may be tiny in size but are immensely detailed. Handkerchiefs with various edging treatments; Trish Faubion’s handkerchief with the lovely tatted edging is on the top. Antique shuttle from the collection of Loene McIntyre. Photo by Joe Coca. Tatted edgings often outlast the textiles they adorn. We featured A Handkerchief Edging to Tat by Trish Faubion in the May/June 2018 issue, and it is a classic way to showcase this traditional needlework technique worked with shuttle (affiliate link) and thread (affiliate link). I could go on, but you get the picture. Our desert island will need a bit more space for us to indulge in our passion for so many forms of needlework, but we’d sure relish the free time to partake! Featured Image: A bigger desert island will be required to hold all of the crafts featured in PieceWork magazine! Photo by sellingpix/Getty Images. 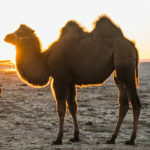 For those of you that aren’t familiar, a blog hop is a group of blogs that participate in writing around a shared theme. You can then hop from blog to blog to learn and explore all sorts of new ideas and perspectives. 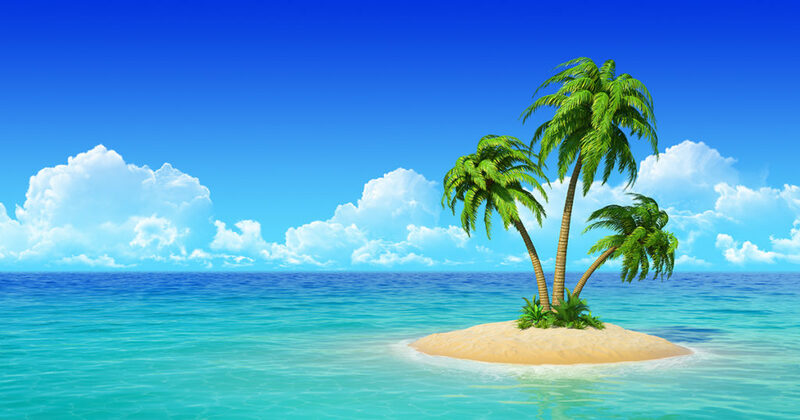 Our group decided to throw a blog hop in honor of National Craft Month, and this year our theme is “What craft would you take to a desert island? On each day listed below, visit that website and scroll through the most recent blogs posted until you find the latest blog hop post. Click and enjoy hopping around! Indulge in historical needlework with PieceWork!